There are many cases in Japan that use "Japanese calendar" instead of "Western (Gregorian) calendar". This year is "2017" as well as "Heisei 29". 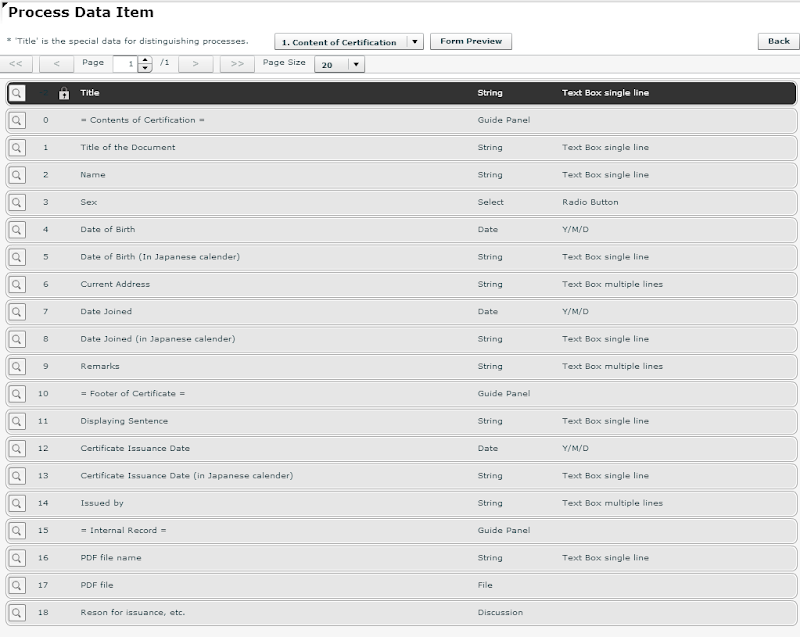 However, as of version 11.1 or later (2016-09-05) of the Cloud-based Workflow "Questetra BPM Suite", it is possible to add arbitrary [Service step] by "Service definition file" (add-on XML). 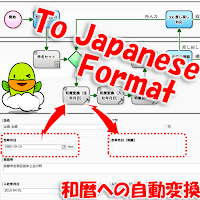 That is, if you use [Service step] which performs Japanese calendar conversion, you do not need to use [Script step] (which requires programming knowledge). In addition, since version 11.3 or later (2017-03-13), it has become possible to share "Service definition file" (add-on XML) on the whole Workflow platform. Since each Process Model (application) refers to one "Service definition file" (add-on XML), even if it is necessary to change the program according to "change the name of era", maintenance of one file will be enough to do. Event date, Date of birth, etc. In government offices and educational institutions, it is not an exaggeration to say that "Japanese calendars are used for all tasks." In such an organization, it is quite troublesome to import "service definition file" (add-on XML) each time you define (modeling) a Business Process. 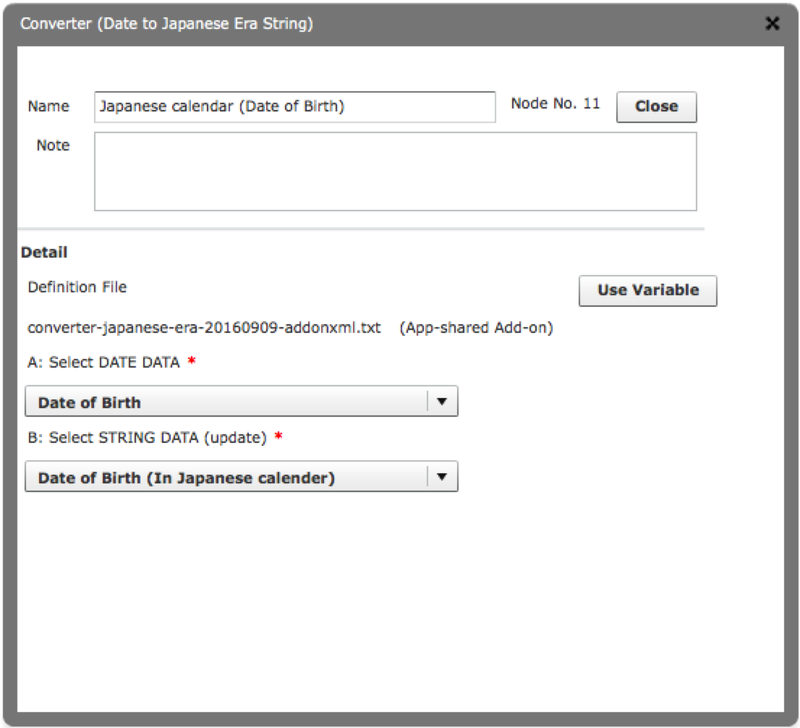 In organizations like this, it should be better to share "Service definition file" (add-on XML) of "Japanese calendar conversion" in advance.